Update: All good things must one day come to an end, and alas, it looks like Sony's just decided to issue a mandatory update to all PS3s that breaks this jailbreak method. Heartbreaking, I know. If Sony's PS3 gaming system took a step backward in functionality when Sony disabled its ability to install Linux, it's just taken two steps forward again. and place it's contents onto the root of your SD-card. Now turn your PS3 off at the wall, and plug in your phone. Turn the PS3 back on at the wall. In fact, you can even undo the jailbreak, which is certainly more than can be said of certain other forms of Android-related hacking. 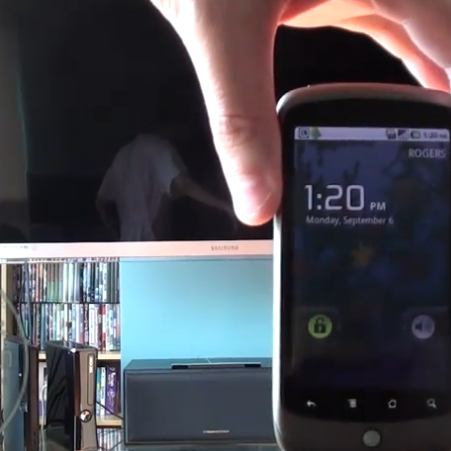 So far, it's only been confirmed to work with the Nexus One and Desire, though we're sure that with proper attention from the dev community, the hack could be ported over to other devices, such as the EVO 4G or Droid X.